This amazingly realistic racing game will challenge even the most skilled racing fans. 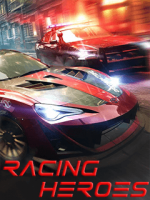 It's fully packed with super-fast cars and dynamic racing levels. Rip around dunes, charge through canyons, drift across the mud and fly past your opponents to reach the finish line! Get first place in each level to earn stars to unlock new tracks and cars by drifting around corners with speed!